Good news! There has been a relevant development in Spain and from now on it is possible, again, to apply for a NIE numbers in Spain through a representative. This means that those British nationals who require a NIE in Spain can give power of attorney to someone based in Spain and enable him or her to obtain their NIE on their behalf. For the last 4 months it was no longer possible to obtain a NIE in Spain through a representative. However, a group of lawyers and professionals, interested in changing the situation, raised numerous complaints with the Spanish Government and managed to change a situation that seemed unfair and unnecesarily complicated. As many people know, a NIE is necessary for several type of transactions such as opening a bank account, buying a property, inheriting an asset, paying taxes, etc. It is therefore a compulsory document for those who either own assets, plan to acquire them or intend to work in Spain. 1. If the person is in Spain, he/she can go to the local Police Station and apply for the NIE in person. 2. 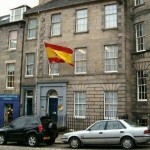 If the person lives in the UK and cannot travel to Spain, he/she can apply through the Spanish Consulate in London or Edinburgh, depending on the territory where the said person lives. 3. Last but not least, the person can grant power of attorney to a third person to obtain the NIE in Spain. This is a very positive outcome that restores the previous situation and returns UK nationals the right to obtain a NIE through power of attorney and without having to fly to Spain. It is also a positive development that helps Spain to re-gain, little by little, the confidence of the foreign investor. The road to recovery is, in deed, very long and full of obstacles but hey, this can be a good starting point.